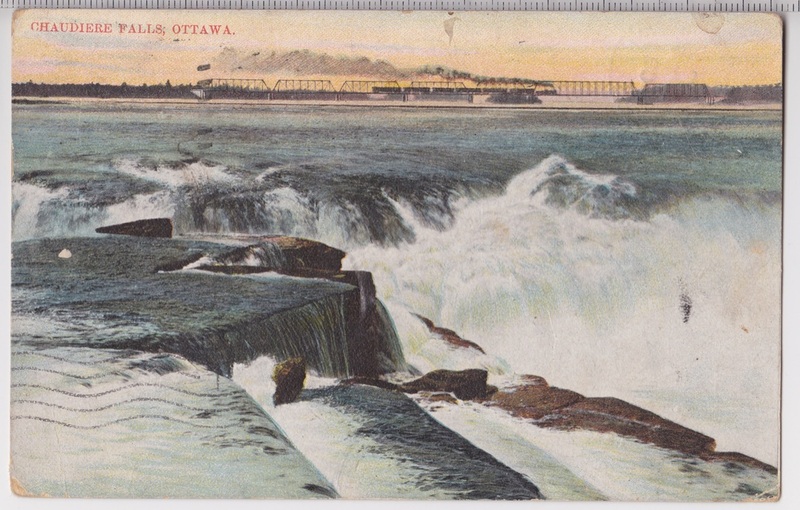 These Chaudière Falls images are a sampling of a larger collection belonging to Lindsay Lambert. Lindsay Lambert, BFA (Honours), is an Ottawa based published historian whose research is rooted in the archival record through a spiritual, justice, and anti-colonial lens. He was born in Swift Current, Saskatchewan, of a Russian immigrant mother and a first generation Canadian English father. Lindsay works hard to keep stories alive in the minds, hearts, and memories of all who are willing to listen and learn. 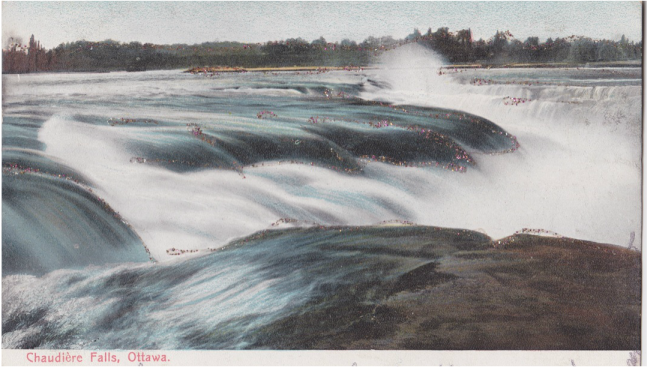 A part of his work is dedicated restoration and the preservation of the sacredness of Chaudière Falls and Islands located downstream in what is now called the Ottawa River. ​Lindsay Lambert has generously provided these images for people's enjoyment, education and private reference. Anyone wishing to use them in a publication, database, or for commercial purposes must have prior written consent from Mr. Lambert. C Falls 1 Lambert: Scanned post card image from the collection of Lindsay Lambert. 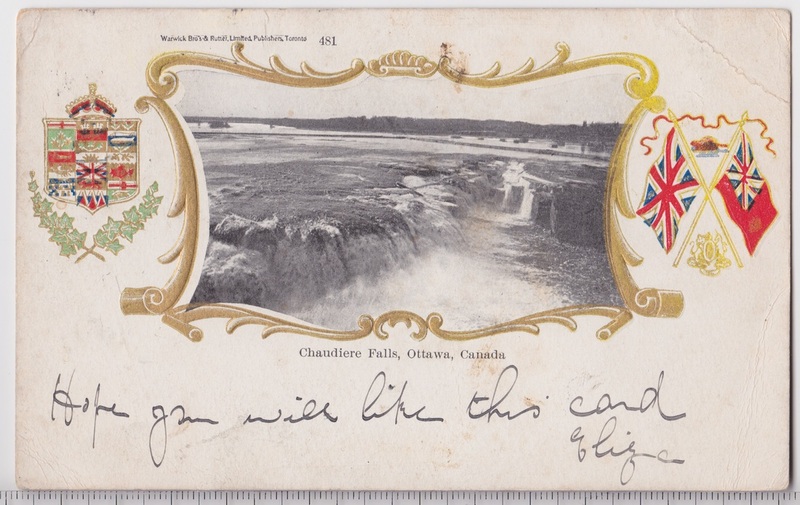 Postmarked October 1904. C Falls 2 Lambert: Scanned post card image from the collection of Lindsay Lambert. C Falls 3 Lambert: Scanned post card image from the collection of Lindsay Lambert, undated, circa 1900-1908. C Falls 4 Lambert: Scanned post card image from the collection of Lindsay Lambert. 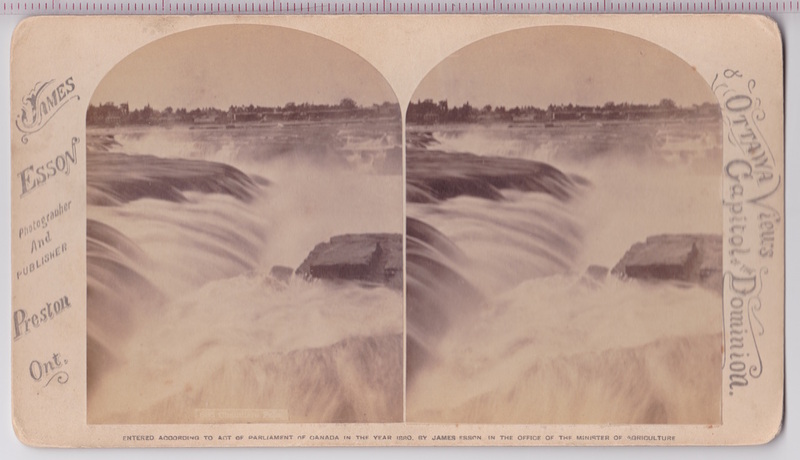 C Falls 5 Lambert: Scanned stereograph image from the collection of Lindsay Lambert, circa 1870. Photographer Stiff Brothers Ottawa. 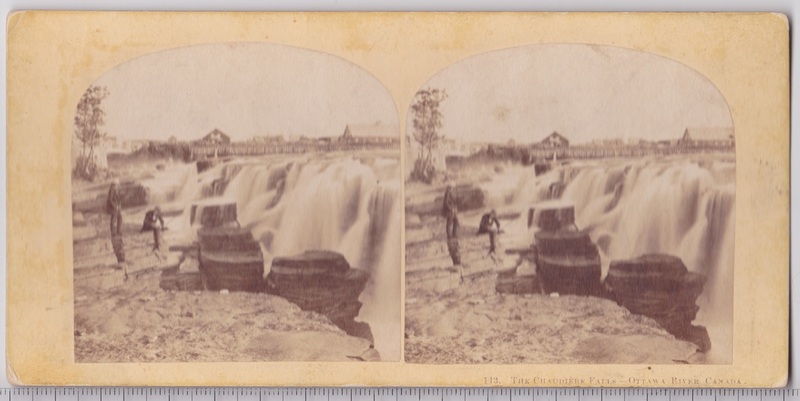 C Falls 6 Lambert: Scanned stereograph image from the collection of Lindsay Lambert, circa 1870. 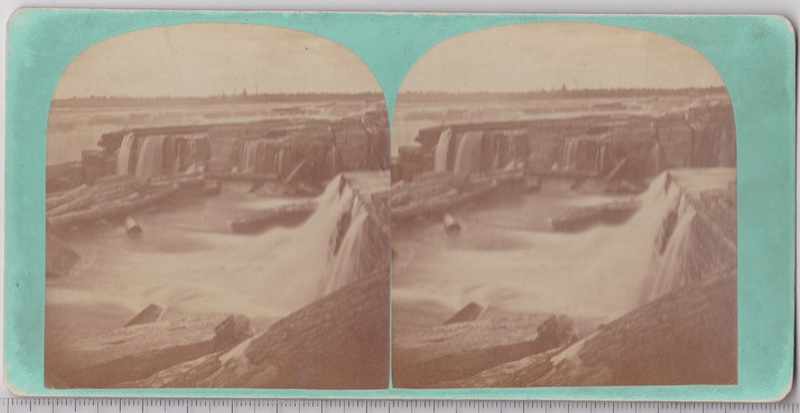 C Falls 7 Lambert: Scanned stereograph image from the collection of Lindsay Lambert, circa 1870. 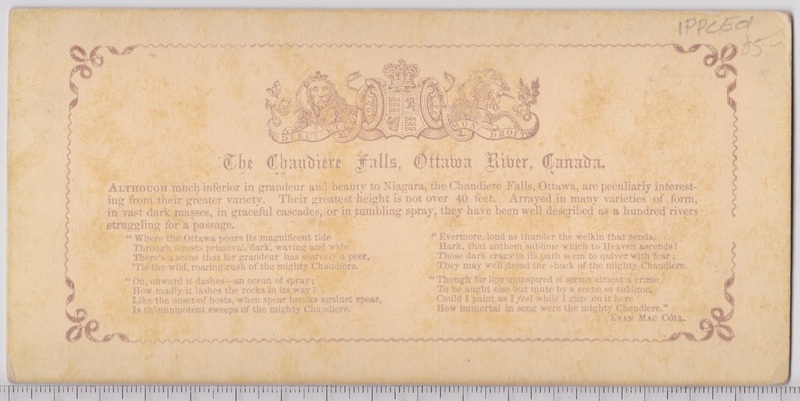 C Falls 8 Lambert: Scanned image of the back of a stereograph from the collection of Lindsay Lambert, circa 1870. This is the back side of image 6 and 7. C Falls 9 Lambert: Scanned mounted photograph from the collection of Lindsay Lambert, circa 1880. 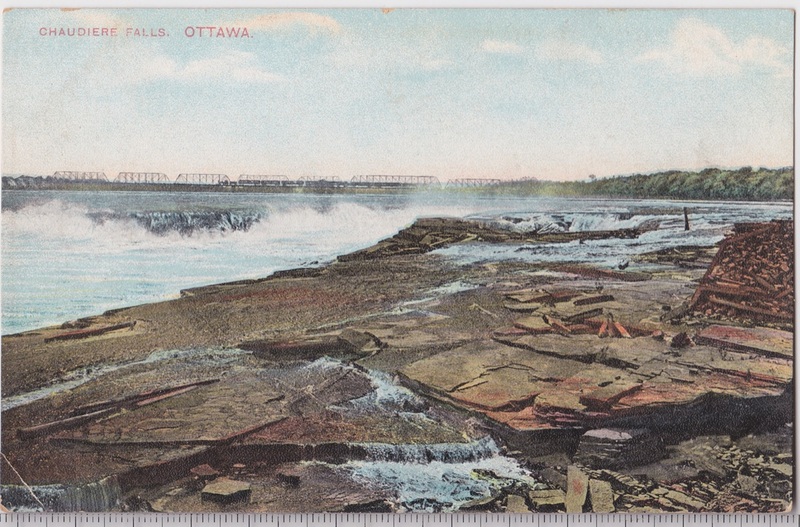 Photographer W. J. Topley, Ottawa, Ontario. 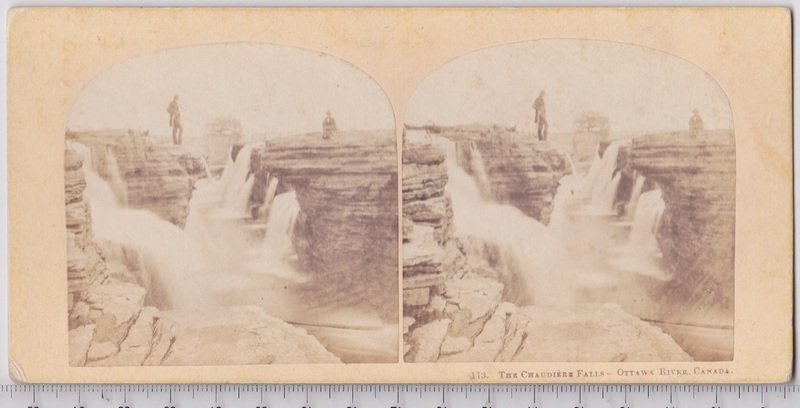 C Falls 10 Lambert: Scanned stereograph image from the collection of Lindsay Lambert, 1880. Photographer James Esson, Preston, Ontario. 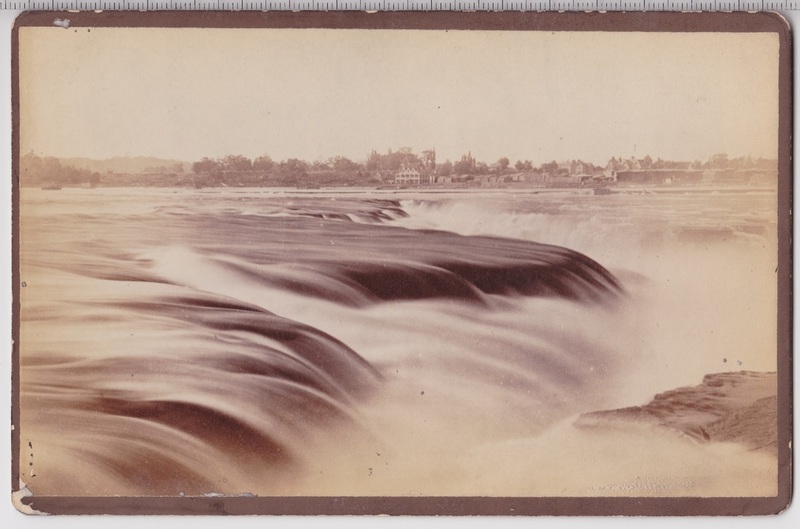 Ottawa: A Pictorial Record-Historical Prints and Illustrations of the City of Ottawa, Province of Ontario, Canada 1807-1882”, edited by Charles P. DeVolpi. Montreal, Dev-Sco Publications Ltd 1964.